I’ve never been a Godzilla guy. Even as a kid, I remember flipping on weekend matinee TV and being only mildly engaged in the hyper-cheesy B-movie kitsch that Toho Studios was pushing out the door under the name Godzilla. The IDEA of Godzilla is cool. But the execution never quite cut it for me. Oh, it still doesn’t. That’s not what this is about. That’s not what I “get” now. But Godzilla ‘98 has been long decried by Godzilla fans as not a “true” Godzilla movie. That’s what I never got. Giant lizard terrorizes city. What more do you need? Okay, the execution was more 90’s American summer blockbuster (which is exactly what Godzilla ‘98 was, BTW) and less feature length Power Rangers episode, which is what lots of the Japanese-produced Godzilla movies feel like. Which, you know what? Is exactly what Godzilla ‘14 feels like. And now I get it. Why Godzilla lovers hated Godzilla ‘98. 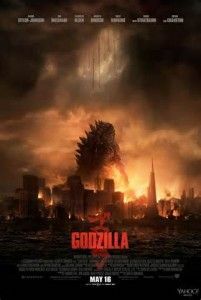 Because it’s NOT a Godzilla movie. It’s Jurassic Park with a bigger t-rex and deadlier (sort of) raptors. Godzilla ‘14, better described as the first real American Godzilla movie, feels like a Japanese Godzilla. It feels like a B-movie with a 200 million dollar budget. Warner Bros. (and they did this movie right; props where props due) spent a ton of money creating a CGI Godzilla… who looks and moves a lot, A LOT, like a guy in a really good rubber suit. Think about that for a minute. That’s… well, that’s awesome. 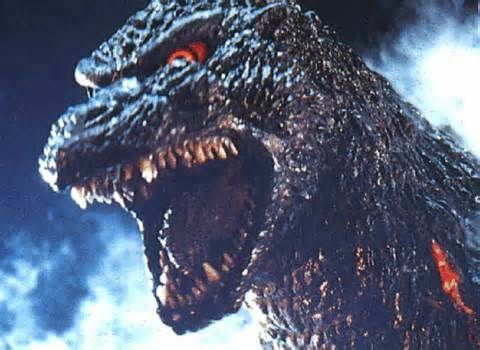 1998 Godzilla, now known simply as Zilla in Godzilla lore, was not actually Godzilla. It was a stranger who co-opted the name, Azrael in a robot batsuit. Tom Hoefner (@TomHoefner on Twitter) is a playwright, theatre director, college professor, and would-be novelist living in Brooklyn with his wife and daughter. Japan: where “rubber suited guys trashing a model city” is an entire cinematic genre. Remarkable country.